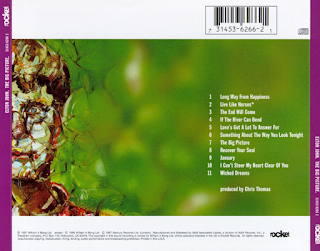 This is the last album before Elton John's (and Bernie Taupin's) creative "re-birth" with 2001's "Songs From The West Coast", which led to a run of albums considerably higher in general quality and critical credibility than those that had populated the eighties and nineties. So many of the albums were simply just "another Elton John album". Unfortunately, this is one of those. It is perfectly acceptable, considerably orchestrated "adult pop". The problem is, one expects more from John and Taupin that that. The opener "Long Way From Happiness" is pleasant enough, but drenched in sombre synthesisers. "Live Like Horses" has more clarity and sounds a bit like a movie theme type of song, full of "big" string orchestration and sweeping musical passages. 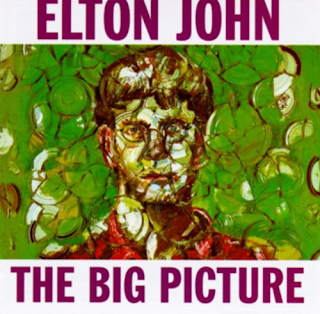 Indeed, Taupin has stated that this is his least favourite Elton John album, largely because of the overwhelming backing, but also due to the fact he was not happy with his lyrics. Anyway, this track ends with a huge choral backing that Elton has a problem matching. This was also one of the first albums where Elton developed a sort of lisping, sightly slurred vocal. Some of his live performances at the time were blighted by this. Oddly, in a few years, his diction seemed to become clearer again. "The End Will Come" is a solemn ballad with more synthesised percussion and less piano, to its detriment. The eighties-style machine-generated backing has thankfully diluted somewhat, but it is still rearing its head. There is one burst of piano in the middle of this track, which is a relief. "If The River Can Bend" begins with that accursed drum machine again and has a crackling, scratchy backing which is irritating. It is a good song though. A great bit of rollicking piano, however, is buried by more drum machine. Nineties "lush" pop at its worst. Thinking about it, Elton John went from 1978 to 2001 without putting out an album that wasn't blighted by synthesised keyboards and percussion. "Love's Got A Lot To Answer For", is pleasant, but again, it has the feel of a movie soundtrack song. It is all a bit middle of the road, to be honest. The great years of the seventies seem a long way off now. Even a comparatively little mentioned seventies album like "Blue Moves" is a million miles better than this. "Something About The Way You Look Tonight" has, as the title would suggest, something about it that lifts it above the rest of the album's material. "The Big Picture" sounds like another show tune, and while "Recover Your Soul" has a catchy melody, it sounds very much technically perfect, but lacking in any real soul. "January" is over-orchestrated, "I Can't Steer Clear Of You" similar, and, guess what, so is "Wicked Dreams". The latter has a poppy, ABBA-like appeal, I guess. There are probably many who love this album, but it doesn't do it for me. The production is too big an obstacle for me to overcome.